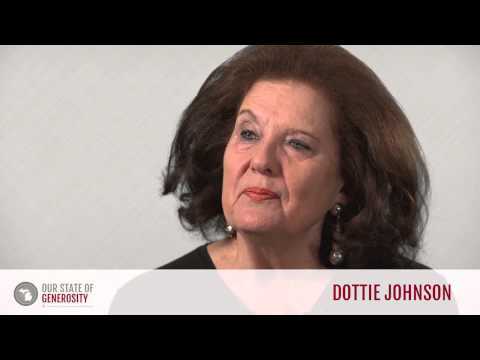 Dorothy A. Johnson committed her extraordinary talents to increasing the effectiveness of Michigan’s philanthropy and to building additional philanthropic resources for the state and nation. As the long-time president and CEO of the Council of Michigan Foundations, Ms. Johnson grew the organization into a national leader. A quick review of the history of the major philanthropic institutions in Michigan will find her as a critical and seminal leader in their creation and growth. 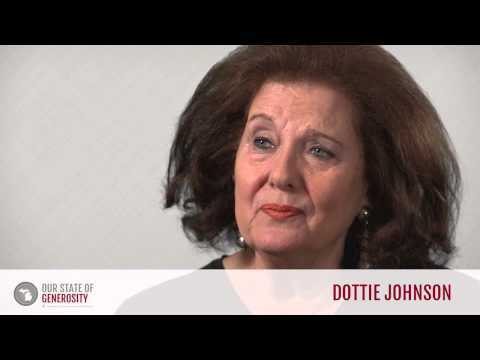 Most importantly, Ms. Johnson’s personal ethics and model of servant leadership have helped to establish the positive tone and culture of Michigan’s philanthropic community. 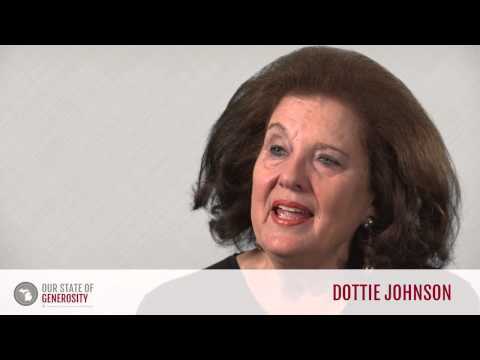 Ms. Dottie Johnson talks about her career in philanthropy. Ms. Dottie Johnson talks about CMF's stance on public policy and their involvement in RAGS on the Hill. 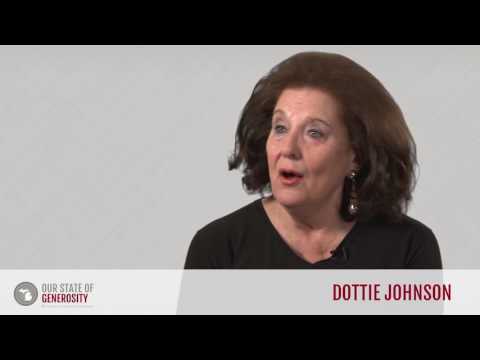 Ms. Dottie Johnson talks about the founding of Learning to Give, an organization promoting philanthropy education in K-12 schools. 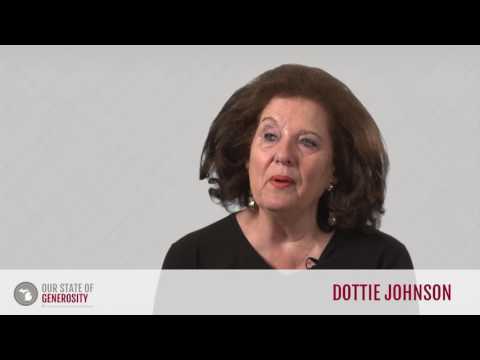 Ms. Dottie Johnson talks about the founding of the Council of Michigan Foundations (CMF). 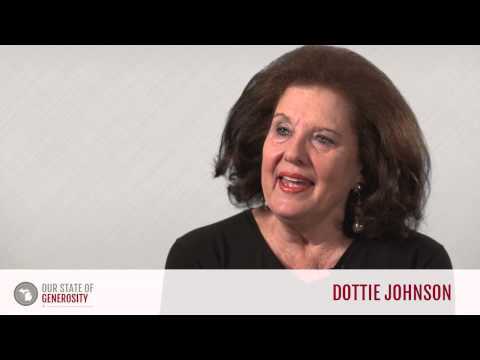 Ms. Dottie Johnson talks wearing multiple hats in servant leadership. 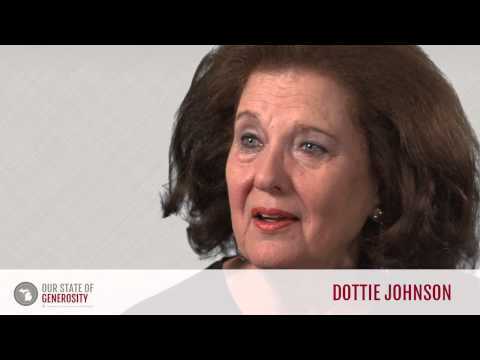 Ms. Dottie Johnson discusses the value of servant leadership. Ms. Dottie Johnson talks about how successful leadership requires relying on a combination of human, financial, and knowledge resources. 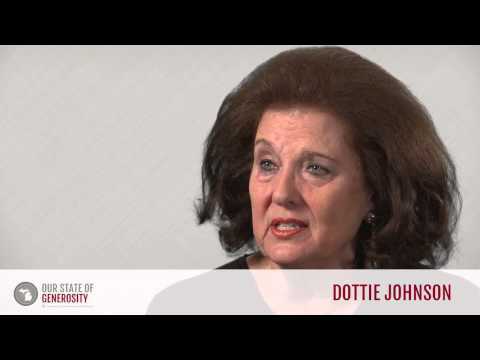 Ms. Dottie Johnson talks about the development of the Michigan Community Foundations Tax Credit. Ms. Dottie Johnson provides advice on how to become a servant leader. 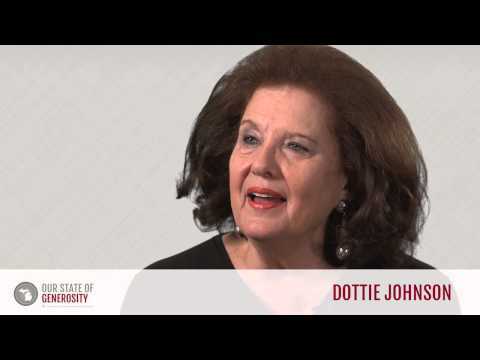 Ms. Dottie Johnson talks about her work with Governor George Romney in developing the Volunteer Centers of Michigan. Ms. Dottie Johnson talks about how Michigan collaborated to get philanthropic work done and had a good time doing it. 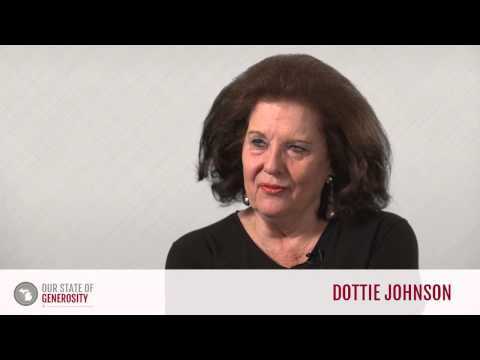 Ms. Dottie Johnson talks about the importance of sharing your knowledge and listening to the knowledge of others. Ms. Dottie Johnson talks about the founding of Michigan Campus Compact, an organization promoting collegiate volunteerism. 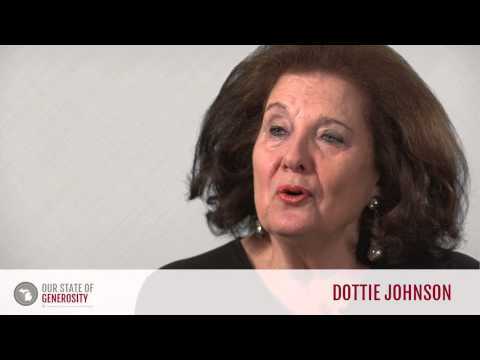 Ms. Dottie Johnson talks about the founding of the ConnectMichigan Alliance (CMA). 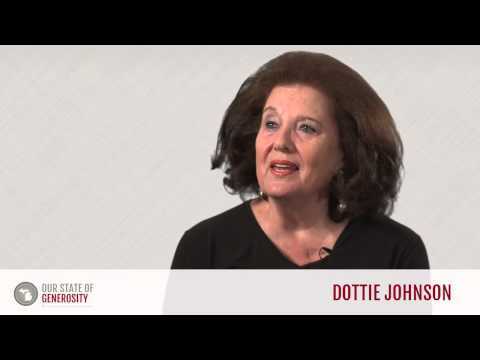 Ms. Dottie Johnson talks about the history of university centers for philanthropy, in particular the Johnson Center for Philanthropy at GVSU. Ms. Dottie Johnson talks about how the Michigan Community Foundations' Youth Project (MCFYP) grew out of the Kellogg Foundation's challenge grant. Ms. Dottie Johnson talks about how the Michigan Community Foundations' Youth Project (MCFYP) fit in with the larger goals of CMF. Ms. Dottie Johnson talks about the development of Michigan's first grantmaker/grankseeker conference. 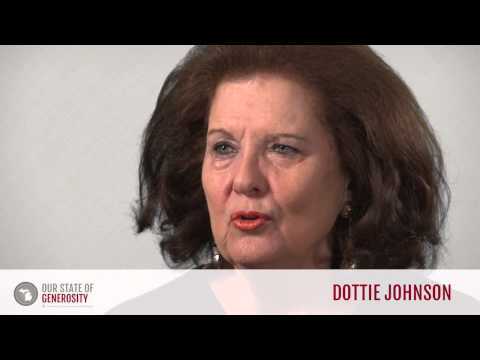 Ms. Dottie Johnson talks about the founding of the Michigan Nonprofit Association (MNA). Ms. Dottie Johnson talks about Michigan's culture of servant leadership. Ms. Dottie Johnson talks about how nonprofit boards work best when true collaboration and a willingness to listen takes place between members. 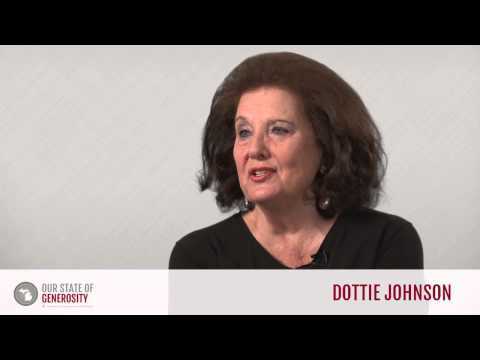 Ms. Dottie Johnson talks about the founding of the Michigan Community Service Commission (MCSC). Ms. Dottie Johnson talks about the growth of a project from idea to implementation. Ms. Dottie Johnson talks about the collaborative branding project that took place among community foundations in Michigan. Ms. Dottie Johnson talks about her appointment to the Corporation for National and Community Service by President Bill Clinton. Ms. Dottie Johnson talks about CMF's involvement with the Exxon Energy Initiative. Ms. Dottie Johnson talks about the development of the Foundation Information Management System (FIMS). Ms. Dottie Johnson talks about how the Council of Michigan Foundations (CMF) served as an incubator for many widely influential projects. 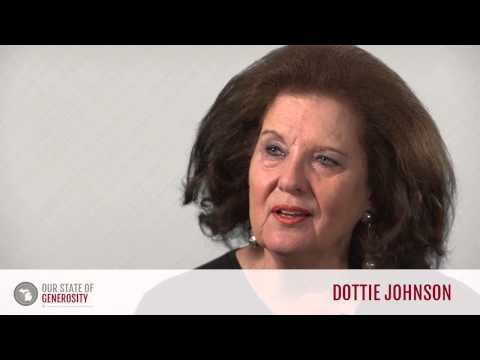 Ms. Dottie Johnson talks about the development of the Michigan AIDS Fund. Growing up in the Los Angeles area, Ms. Dorothy Johnson attended the University of California at Berkley, where she earned her undergraduate degree in speech. She then attended the Harvard-Radcliffe Program in Business Administration, becoming a member of its final class before women were admitted into the Harvard Business School. Ms. Johnson grew up in California in a family that valued giving back to the community. Her mother was involved with Community Chest, which would later become the United Way, as well as the parent–teacher association at Ms. Johnson’s school. In her interview with Dr. Kathryn Agard of the Our State of Generosity project, Ms. Johnson recalls her first philanthropic experience in the third grade; convincing her friends to bring in an extra penny each to help pay for a required harmonica for a fellow student whose family couldn’t afford it. This commitment to being involved with her community followed Ms. Johnson to the University of California at Berkley, where she was elected vice president of the student body. She was surprised to learn after she earned the position that she would be paid $85 a month and have a secretary. While attending graduate school, Ms. Johnson met her husband, Mr. F. Martin Johnson. The couple moved to New York, where Ms. Johnson began working at the J. Walter Thompson advertising agency firm as a media space buyer. This position had her analyzing demographics and working with clients. Ms. Johnson also continued to volunteer while in New York, including with an organization named Lighthouse that engaged volunteers in reading to the blind, among other services. After two years, the Johnsons left New York to move to Grand Haven, Michigan, where her husband’s family owned a business. Upon arrival, Ms. Johnson once again threw herself into volunteering. She quickly became involved on the boards of the local Girl Scouts, the statewide United Way, the Arts Council, her church, and became one of the first women on the Grand Haven Area Planning Commission. In 1971, local leaders Vin Erickson and Miller Sherwood created the Grand Haven Area Community Foundation, and asked Ms. Johnson to become a member. She was then asked to serve as a board member, and later became the third president of the foundation. As a trustee, Ms. Johnson attended the first meeting of the Conference of Michigan Foundations in 1972, where she was asked to join its steering committee. In 1975, the Conference of Michigan Foundations was restructured as a membership organization under the name of Council of Michigan Foundations (CMF), and Ms. Johnson volunteered to become the executive secretary, succeeding Ms. Sophia Gorham, a departing part-time secretary. The title of the position was later changed to executive director, quickly followed by president and CEO. Dorothy Johnson’s contributions to the field of philanthropy are too numerous to adequately enumerate. 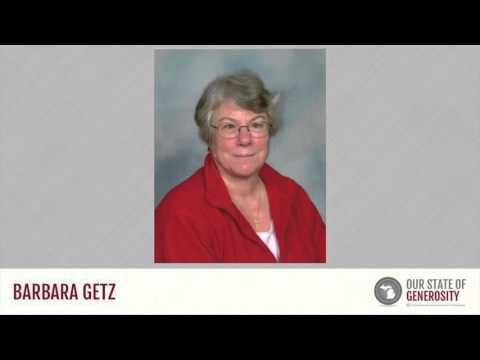 At a time of the rapid growth and maturation of philanthropic organizations and expansion of knowledge about giving and service, she was at the forefront in leading many of the national, and virtually all of the Michigan, initiatives to improve and increase the practice of philanthropy. From volunteer service on the board of a community foundation serving a small Michigan community, to appointment by U.S. Presidents to the board of the Corporation of National and Community Service, she participate in or launched dozens of successful institutions and initiatives. Ms. Johnson served as executive director of the Council of Michigan Foundations (CMF) for 25 years, during which time she provided leadership and guidance for a number of significant initiatives across the state. Some of the initiatives with which Ms. Johnson was personally involved included RAGs (Regional Associations of Grantmakers) on the Hill, the Grantmaker/Grantseeker Conference, the Michigan Community Foundation Tax Credit, the Michigan AIDS Fund, the Exxon Energy Initiative, the Michigan Community Foundations’ Youth Project (MCFYP), the founding of the Michigan Nonprofit Association, and the Learning to Give initiative. Shortly after stepping into the leadership position at CMF, Ms. Johnson organized a delegation that traveled to Washington D.C. to meet with 10 congressmen to discuss the high payout requirements, as well as the excise tax, imposed on private foundations. This first trip was organized in 1977, and CMF was the first Regional Association of Grantmakers (RAG) to conduct such policy work. Ms. Johnson, seeing the value in educating policy makers, worked tirelessly to involve other RAGs. As a result, the initiative, now renamed Foundations on the Hill, has become a partnership that includes the Council on Foundations, the Forum of Regional Associations of Grantmakers, and the Alliance for Charitable Reform. Ms. Johnson also set a precedent for creating and bringing fact sheets showing the impact and reach of the foundations. In 2014, Foundations on the Hill featured more than 150 visits by over 200 grantmakers from across the United States. In 1988, Dr. Peter Ellis, a senior program director at the W.K. Kellogg Foundation, approached Ms. Johnson to discuss the need for a better understanding of the tensions between grantmakers and grantseekers. He then took a yearlong executive study leave to work with Ms. Johnson and CMF on researching this relationship, and in May of 1989, they hosted the first Grantmaker/Grantseeker Conference. The conference was co-sponsored by the W.K. 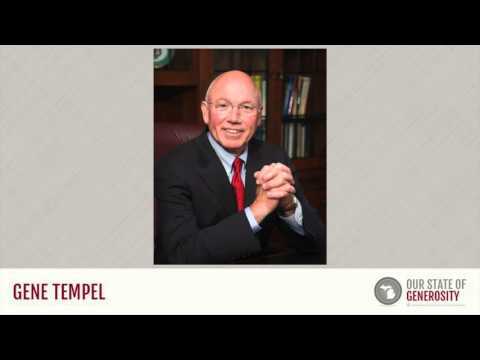 Kellogg Foundation and chaired by Dr. Russ Mawby. Ms. Johnson directed staff for the conference for the first two years, after which time the Grantmaker/Grantseeker Conference became a partnership with the Michigan Nonprofit Association. During the 1980s, Ms. Johnson reacted in innovative ways to growing concern about the AIDS crisis. Responding to the urgency raised by Mr. Bill White, president and CEO of the Charles Stewart Mott Foundation, she organized interested funders to collaborate in creating the Michigan AIDS Fund Committee of CMF. 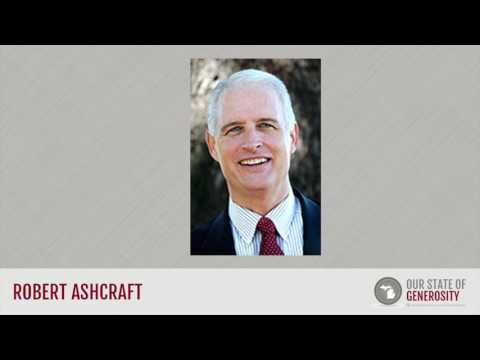 Starting with a leadership grant from the Mott Foundation of $50,000, the AIDS Fund served as a collaborative funding pool that would allow donors to anonymously give gifts and grants that could then be distributed among the early projects and organizations responding to the AIDS epidemic. Ms. Johnson, convened the group, assisted in raising the funds, managed the project, supported the volunteers, and oversaw its transformation into the more autonomous Michigan AIDS Fund, which served as a supporting organization of CMF. In 2002, the Michigan AIDS Fund became an independent nonprofit organization, and it continues to serve the citizens of Michigan under the auspices of the Michigan AIDS Coalition following its merger with the Michigan AIDS Prevention Project in 2009. The year 1986 saw one of the earliest partnerships of state government and CMF in the creation of the Community Foundation Energy Initiative. This initiative distributed a portion of the Exxon Corporation’s court-mandated restitution settlement to the Council of Michigan Foundations, which then distributed grants to community foundations to assist nonprofits and programs in being more energy efficient. Additionally, CMF received $350,000 to fund energy efficient programs in areas of the state not served by community foundations. Both sets of state funds required a dollar-to-dollar match by the recipients. Ms. Johnson led this effort with a committee of community foundation leaders from the CMF board, and their success represents the first time that CMF was used as a joint funding vehicle by its members. Perhaps one of boldest programs that occurred at CMF during Ms. Johnson’s tenure was the Michigan Community Foundations’ Youth Project (MCFYP). Following Dr. Jack Hopkins’ (president of the Kalamazoo Community Foundation at the time) assertion that growing community foundations around the state would require funds for technical assistance, a large challenge grant to motivate new gifts, and a tax credit for contributions to the community foundations, Ms. Johnson headed a delegation to the Kellogg Foundation to discuss this grand vision. It was there that Dr. Mawby suggested the inclusion of a youth component. 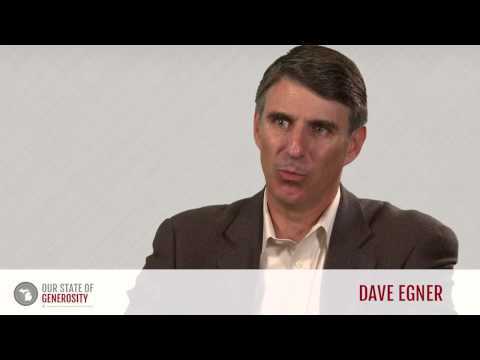 This aligned the request more closely to the Kellogg Foundation’s mission. The community foundations revised their request, leading to a 2:1 challenge grant by the Kellogg Foundation, as a pilot project to gain some understanding of how and whether such a challenge grant would help the community foundations grow. Ms. Johnson wrote the first grant request to the Kellogg Foundation outlining the initial concept for the MCFYP before hiring Dr. Kathy Agard, who would further develop and implement the program over the following eight years. A companion grant was received from the Charles Stewart Mott Foundation to assist with further developing the MCFYP by funding technical assistance resources for the community foundations. The pilot project for $2 million over three years began in 1988 with Dr. Ellis as program director. 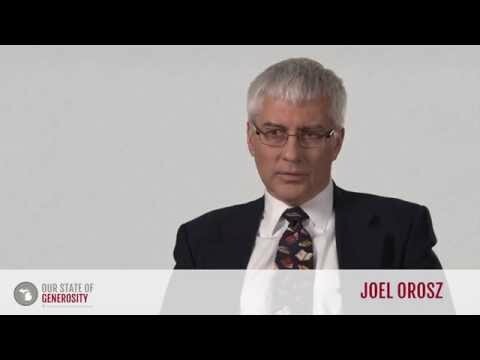 His unexpected death in 1989 brought in Dr. Joel J. Orosz as MCFYP’s new Kellogg program director, a role he fulfilled until 2001. 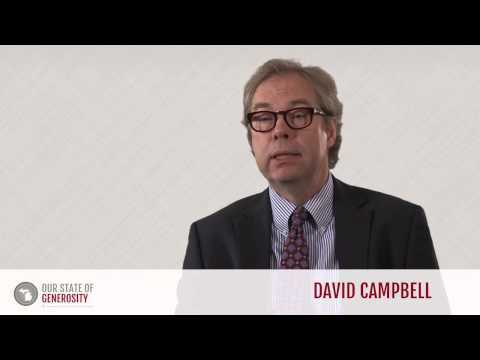 As the first challenge was being completed, the community foundations aspired to a larger vision — to assure that every donor and nonprofit in any community in the state would have access to a community foundation. Returning to the W.K. Kellogg and Charles Stewart Mott Foundations, a major investment challenge grant of $35 million was championed by Program Director, Dr. Orosz and approved by the Kellogg Foundation in 1991. Ongoing technical assistance funding was provided by the Mott Foundation. The participating communities could earn $1 million by raising $2 million, either to strengthen an existing community foundation or to establish a new one in a community where none existed. The $1 million challenge grant had to be endowed in a youth field-of-interest fund, but the $2 million in community match could be endowed by the community foundation for any charitable purpose. Dr. Kathy Agard led the successful implementation of MCFYP, recruiting Mr. James McHale to create and lead the youth advisory component of the project. The inclusion of Youth Advisory Committees (YACs) as a requirement for the challenge grants, and including youth as beneficiaries of the endowed youth field-of-interest fund, gave young people the ability to act as grantmakers and empowered them to solve issues faced by their communities, while educating them on the role and process of formal philanthropy. It also endowed the YACs in perpetuity, assuring the continuation of youth philanthropy programs. MCFYP succeeded in reaching its goals by the time of its formal conclusion in 2006. Every Michigan community now has access to a community foundation and 86 YACs continue to operate across the state. The project has become a model for youth grantmaking across the world. Ms. Johnson’s leadership made this rallying of funders and participants possible. While MCFYP was being implemented, it was realized that “many of the youth we really had hoped would be involved in the project hardly knew what the word philanthropy meant. 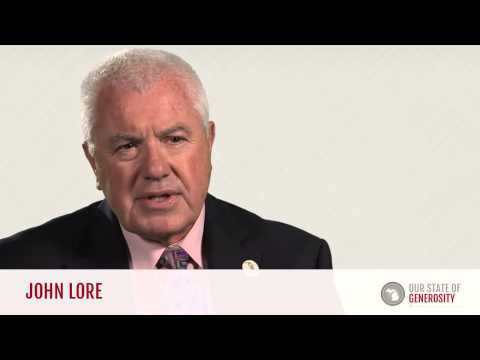 They hardly knew what the word meant and consequently we could see the need to educate.” Thus began the push for the Learning to Give (LTG) initiative, which was initially called the K-12 Education in Philanthropy Project. The vision behind Learning to Give is that all youth should have an understanding of philanthropy, how it affects their community, and how they can become involved in it. This was pursued by creating lesson plans that incorporate a focus on philanthropy into topics that teachers are already required to teach, thus getting the philanthropic lessons to students without creating new requirements for already overburdened teachers. These lesson plans were created by teachers, for teachers, and are still available online today as a free download. Ms. Johnson identified this project as a personal passion during her interview with Dr. Agard for the Our State of Generosity project. Ms. Johnson worked closely with Dr. Joel J. Orosz (then program director for philanthropy and volunteerism programming at the W.K. 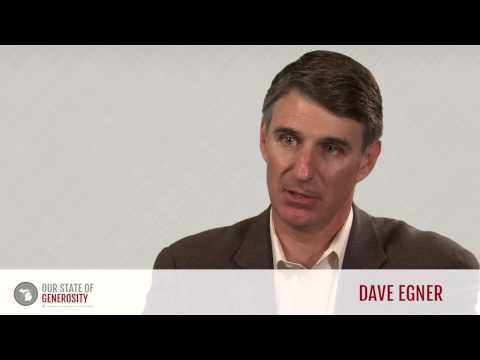 Kellogg Foundation) to build the advisory committee and further develop the concept. Dr. Agard had been involved as a member of the project development committee, and wrote a grant request to the Kellogg Foundation, which Dr. Orosz then funded. Dr. Agard served as executive director of the initiative, and as CEO once it became a supporting organization to CMF. She led the development of Learning to Give from its inception through preparation for national launch. Ms. Johnson has served on the board of LTG since it became independent, and is currently offering her time and talents as co-chair. Less than two months later, the group met again, under the facilitation of Dr. Ellis of the Kellogg Foundation, to discuss the launch of the nonprofit association. The idea discussed was that the Nonprofit Forum would not establish a set of bylaws or structure, but would act as a network to encourage collaboration and discussion on issues impacting nonprofits statewide, with an early focus on legislation and regulation. This idea was met with approval, and the Michigan Nonprofit Forum was created and awarded a three-year start-up grant from the Kellogg Foundation (Dr. Joel J. Orosz, program director), as well as support from the original members. However, the Forum’s loose structure and limited staffing hindered its effectiveness, and it was therefore restructured in 1995 as an established membership organization that offered nonprofit services under the name Michigan Nonprofit Association (MNA) (1). 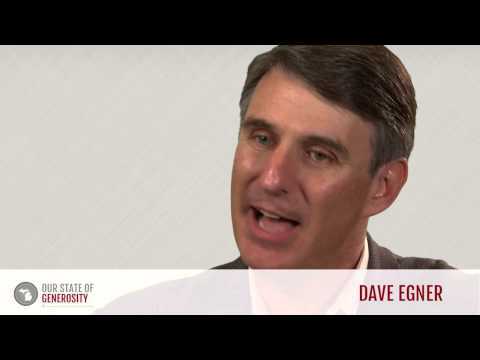 Dr. Mawby chaired the board during this transition, and to assure the new organization’s success, he dispatched his executive assistant, Mr. David Egner, to provide leadership to the new MNA. Ms. Johnson organized the initial convening, provided the staff support, and served on the steering committee as acting chair during MNA’s creation. She served on many of the early committees. She then served as a member of its board of trustees from 1990 to 2000. Ms. Johnson is proud of the essential infrastructure organization that MNA has become, and is particularly thrilled about the level of collaboration between MNA and CMF. 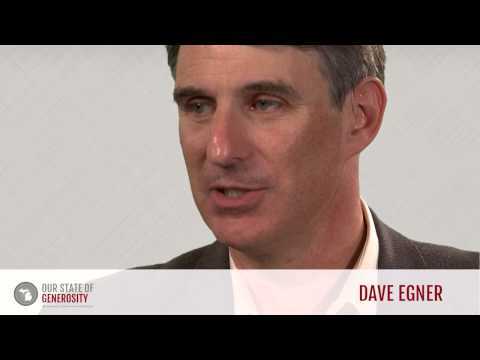 Such collaborations have increased communication between foundations and nonprofit organizations (such as through the Grantmaker/Grantseeker Conference) and has increased their capacity to fund and conduct research and to engage in public policy work. In 1991, the federal government passed the Community and National Service Act, distributing federal service funds through statewide commissions. Anticipating the new legislation, Michigan had launched a statewide effort to jumpstart such a commission, and the Kellogg Foundation (through Dr. Joel J. Orosz who was then serving as coordinator for philanthropy and volunteerism programming), provided funding for a grassroots community organizer to gather key stakeholders and develop the Michigan commission. The Michigan Community Service Commission (MCSC) was created by the state government under the Gov. John Engler administration, with Mrs. Michelle Engler (the first lady) serving as its chair. Another area of interest of the CMF’s Improving Philanthropy Committee was promoting philanthropy in higher education. After several stages of research and discussion, the recommendation was made to support the creation of one or more academic centers focused on the charitable sector in colleges and universities in Michigan. The W.K. Kellogg Foundation funded a meeting convened and facilitated by CMF, for the presidents of all of Michigan’s four-year education institutions, both private and public. 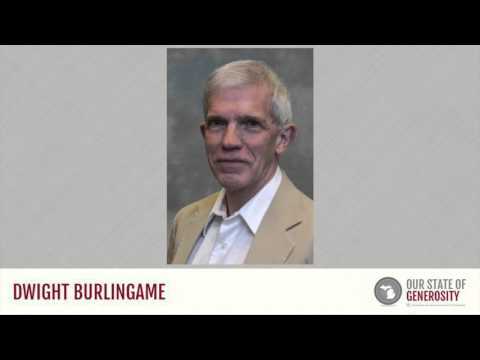 This meeting was called to invite proposals for the creation of one or more academic centers, following the successful creation of the Center on Philanthropy at Indiana University (now called the Lilly Family School of Philanthropy at Indiana University-Purdue University Indianapolis). Ms. Johnson not only managed the logistics for the meeting, she also gave a presentation on the need for research within the nonprofit sector, as well as the different forms that research could take. Mr. Arend (Don) Lubbers, president of Grand Valley State University (GVSU), grasped the benefits of such a center and agreed to commit significant university funds to match the Kellogg Foundation’s grant 1:1. 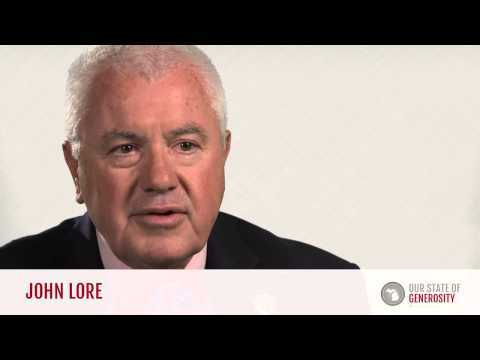 Thus in 1992, the Center for Philanthropy and Nonprofit Leadership was formed. 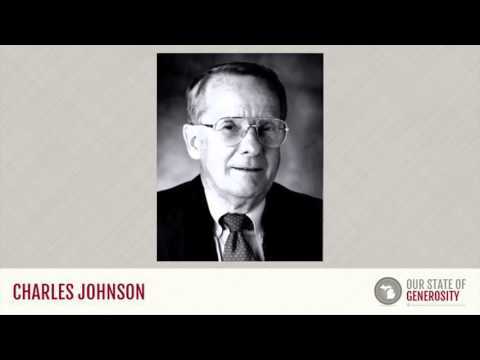 Following Ms. Johnson’s retirement from the role of president and CEO of the CMF in 1999, the center was renamed as the Dorothy A. Johnson Center for Philanthropy and Nonprofit Leadership (JCP) as a tribute to her national philanthropic leadership. The newly named Johnson Center also received the gift of CMF’s large philanthropic library, and an endowment for its maintenance, as a gift. Beyond her commitments to Michigan’s infrastructure organizations, Ms. Johnson gave her time and talent to a variety of local and national boards. She served on the board of trustees for the W.K. Kellogg Foundation for 32 years, including a term as chair, the first woman to hold that position. She served on the board of trustees for Grand Valley State University, to which she was appointed by Gov. Engler. She served on the board of GVSU from 1995 to 2011, including a term as board chair from 2001 to 2004. She currently serves as a member of the board of directors of the Kellogg Company, having been elected in 1998. Nonprofit organizations that Ms. Johnson served as a trustee include the Lilly Family School for Philanthropy at Indiana University, Citizens Research Council, the Council on Foundations, the National Charities Information Bureau, the National Center on Family Philanthropy, the Foundation Center, the Presbyterian Foundation, and the Grand Haven Area Community Foundation. Additionally, Ms. Johnson continues to serve on the boards of the Princeton Theological Seminary, the GVU Foundation, and the Grand Rapids Symphony. She also is the founding co-chair of the board of Learning to Give, organized as a supporting organization of the Council of Michigan Foundations. Her tireless commitment to her community and Michigan’s nonprofit sector has not gone unrecognized. Ms. Johnson received the Distinguished Grantmaker of the Year award from the national Council on Foundations in 2000, was presented with the lifetime achievement award from the Grand Rapids Economic Club, and has been inducted into Grand Valley State University’s Hall of Fame and received an honorary doctorate. She was named a Woman of Achievement by the Michigan Women’s Foundation, recognized as Counterpoint’s Woman of the Year, and in 2014, was inducted into the Michigan Women’s Hall of Fame (2). 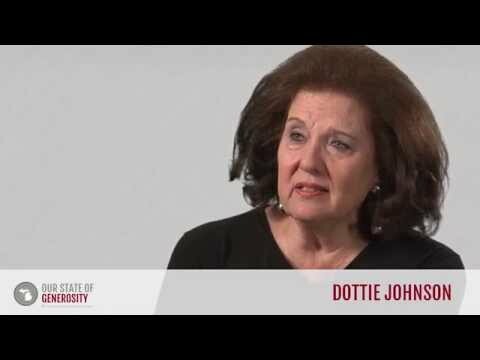 Video: Watch leaders discuss the leadership of Dorothy A. Johnson. Ms. Johnson was interviewed regarding her insights and experiences in working with Michigan’s philanthropic community and the Our State of Generosity (OSoG) partners. The following are selected quotations from her interview specifically related to the five organizing themes of the OSoG project.